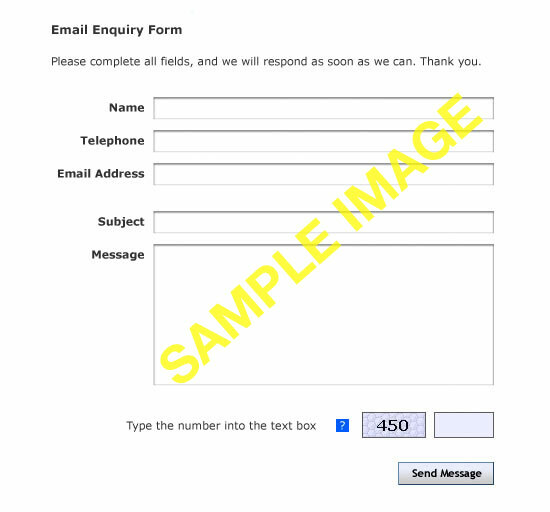 The contact form provides a convenient ready-configured enquiry form for your site. Simply add your email address to the Site Settings > Site Email Address, and the contact form will send enquiries straight to that address. This can look a little more professional than simply adding a plain email addres to your page, and also might help you avoid 'harvesting' of your email address by spammers. Remember that the 'Edit Page Text' button on the Contact Form page operates just as it does on other pages, letting you add introductory text and images if you want.